Sailor Venus and Artemis. Being Sailor Venus with her kitty Artemis on Imvu.. Wallpaper and background images in the Sailor Moon club tagged: sailor venus artemis kitty cosplay imvu. 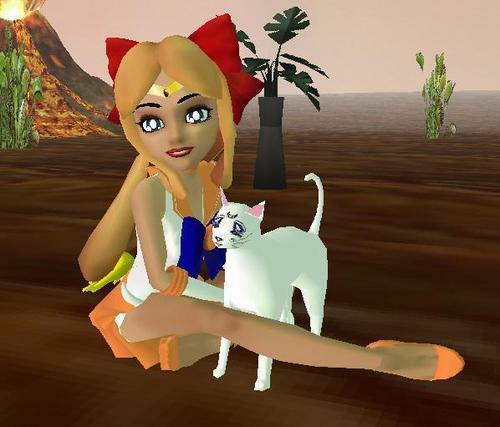 Being Sailor Venus with her kitty Artemis on Imvu. cool! how did u make that?? ok! ill try it out!